When the 2018 $50,000 Poker Players Championship ended, about 40 people spilled onto the World Series of Poker stage and began chanting. The legend of Michael Mizrachi grows again. 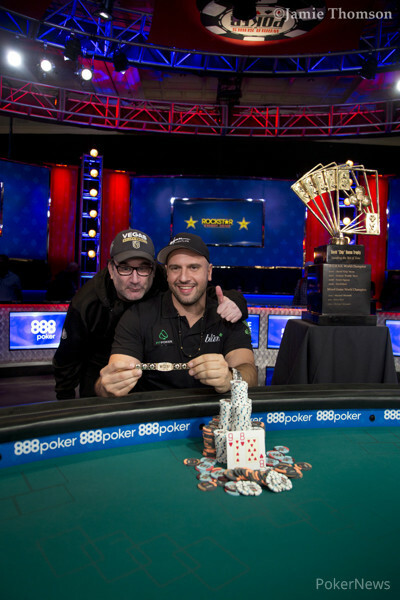 Mizrachi won the PPC for an unprecedented third time, taking down $1,239,126 in prize money for the sixth seven-figure score in what seems certain to go down as a career for the ages. He also won the ultra-prestigious event in 2010 and 2012. 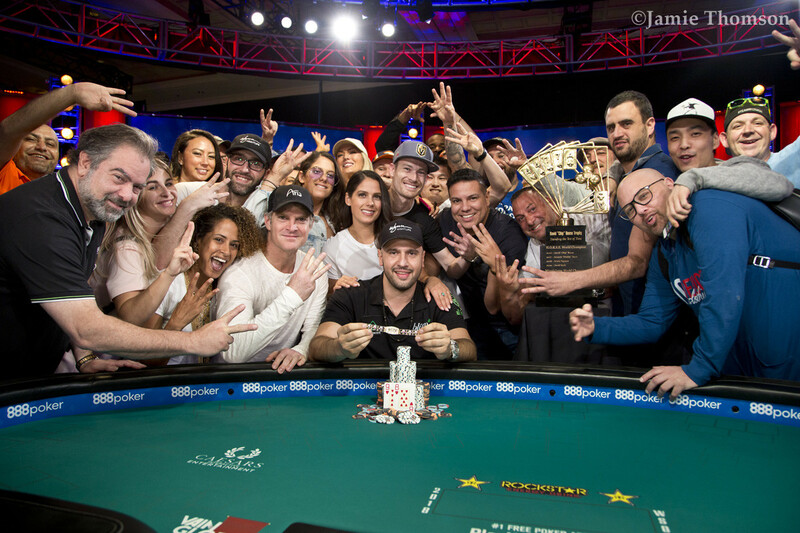 It's the fourth bracelet overall for Grinder, who also won a WSOP Europe event in 2011. "It's quite an accomplishment," he admitted. "To win the first one was amazing. The second one was great. The third one is unheard of." 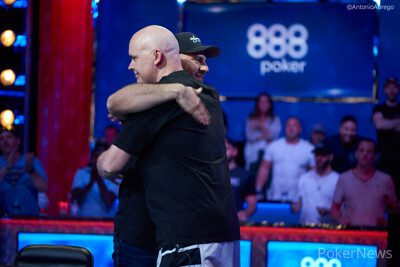 Considering Mizrachi's incredible history of deep runs in the PPC — twice having his name etched on the David "Chip" Reese Memorial Trophy plus a fourth-place finish in 2016 and an agonizing bubble bustout in 2017 — and the fact he bagged chip lead on each of the last three days, it may look like he was destined for victory. In fact, Mizrachi said, he had a poor Day 1 and showed up late to Day 2, fumbling his coffee as he rushed to take his seat. "It was a seven-minute delay," he said. "We had to move tables. After that, everything turned around. It was a good move by me." Indeed, Grinder turned things around and proceeded to utterly dominate. He scarcely conceded the lead after gaining it on Day 2 despite operating in the typically elite field the PPC brings out. 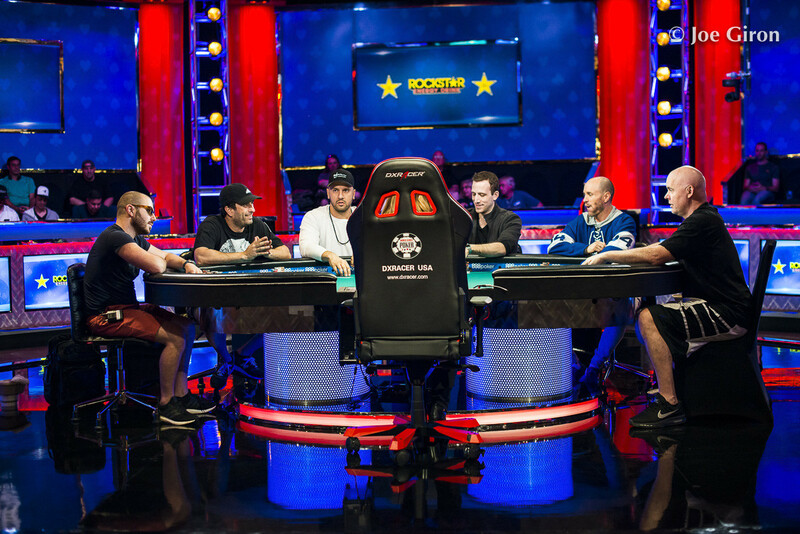 The final 11 players featured eight multiple-time bracelet winners, including icon Phil Ivey, two-time PPC winner Brian Rast and 2014 PPC champ "Johnny World" Hennigan. Knowing they have to face a lineup that can chew up any seasoned pro and spit out his or her bones, many people would study up on their preferred poker resources, be they books, simulations or charts. Others would ratchet up the mental preparation. At the very least, most would look to come in well-rested with a good night's sleep. Aspiring PPC champs looking to emulate Mizrachi's success should take note: that isn't his formula. He said he was out late plenty during the tournament, getting just a few hours of sleep before hitting the gym in the morning. He donned a necklace of lava beads given to him by his girlfriend's brother as a good-luck charm, sat down and crushed. The 2018 PPC final table. 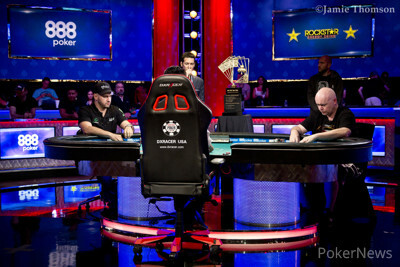 He came into the final table with a big chip lead against Hennigan, Dan Smith, Benny Glaser, Aaron Katz and Mike Leah. All talented and hugely motivated — particularly the bracelet-less Smith, who would go on to his sixth top-three finish — but all seemed like so much fodder to be minced by Grinder. He was simply running too hot, making nut hands left, right and center. "I never had big swings this whole tournament," Mizrachi admitted. "All the cards went my way. I hit a bunch of hands. Everything went my way. I just won every pot." Two key hands from the final table stood out. Smith pushed hard three-handed and moved into the lead against Hennigan and Mizrachi. However, Mizrachi reasserted himself in a massive 2-7 Triple Draw hand wherein he drew three and instantly made a wheel. He got four bets in against Smith, with Hennigan putting in two for good measure. Smith drew and then made the third nuts, so they got three more bets in before Smith just called a single bet on the end when they both patted. Then, the biggest hand of the tournament went down in a three-bet Omaha Hi-Lo pot that saw Mizrachi flop Broadway and slowplay before raising the turn to get two bets from both of his opponents. Smith paid off a river bet and Mizrachi suddenly had a hammerlock on things with two-thirds of the chips in play. 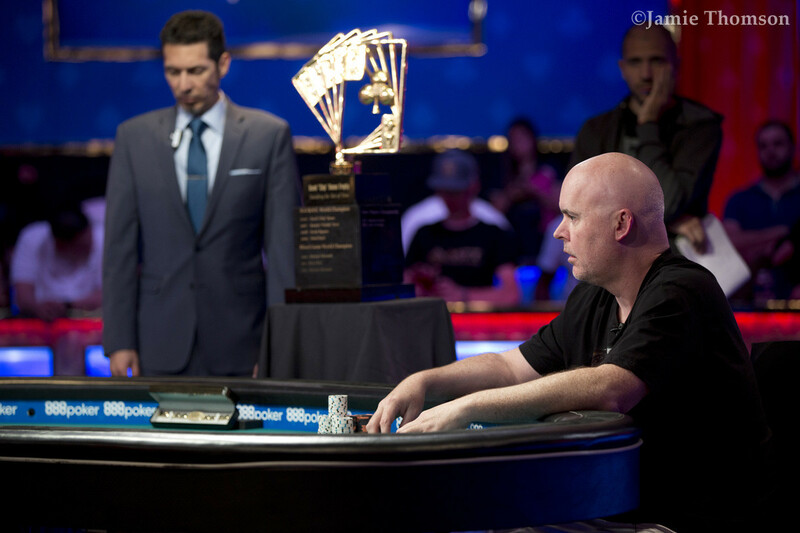 After Smith lost his remaining chips, the two former PPC champs took a break and then met back up to determine whether "Johnny World" would join the ranks of two-time winners or Grinder would be the first to No. 3. Johnny World came up just shy of his second PPC title. The match didn't last long as 2-7 Triple Draw proved to be Mizrachi's boon once again. He won two big hands there and then finished Hennigan in old standby No-Limit Hold'em, the game where Mizrachi first made his name. They played a three-bet pot and Hennigan stacked off with an open-ender postflop but ran into Mizrachi's second pair and a flush draw. A ten of hearts on the turn locked it up for Grinder, as it completed his draw. The crowd exploded onto the stage and began chanting for Mizrachi before cramming themselves into photos together. "When you have a great group of friends, family and fans, it's an amazing feeling," Mizrachi said of the crowd. "It boosts my confidence. I think it helped me out. I felt like I had to do this for them." Mizrachi had quite the rail cheering him on. Mizrachi matched brother Rob at the top of the family rankings with four bracelets and joked that he's going to ramp up his playing schedule just to move into first by himself. Dinner table bragging rights aside, Grinder has forced observers and players alike to consider his place in poker lore. Three PPC titles, a fourth bracelet, two WPT titles and nearly $17 million in cashes paints a picture of one of the most accomplished players in tournament history. 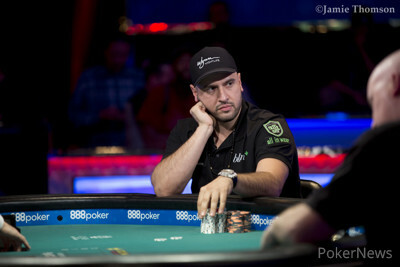 With this title, Mizrachi said felt he had done enough to cement a place in the Poker Hall of Fame. And as far as his ability at the table goes, while he acknowledged he still has doubters, he feels even they have to give him credit at this point. "I think I've done enough to where people will give me the respect I deserve," he said. The Poker Players Championship is one of the most prestigious events around the world, and some of the best players have made their mark in this event. 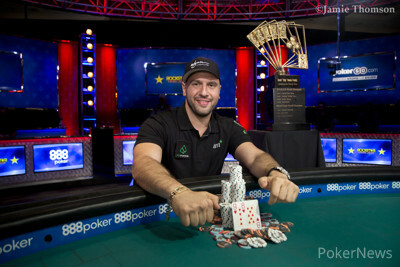 Michael Mizrachi is now the only three-time winner ahead of two-time winner Brian Rast. Consequently, they both sit first and second on the all time list for Poker Players Championship earnings. On the back of a win two years ago, and a second place this year, John Hennigan sits third, while Freddy Deeb sits fourth on the back of winning the Poker Players Championship with the biggest first prize. The only two players in the top ten that haven't won a Poker Players Championship is Andy Bloch and John Hanson. Bloch took second back in 2005 to David "Chip" Reese while also adding a further three cashes and one final table. Hanson sits ninth overall on the back of two final tables and two cashes. Since the inaugural version of the Poker Players Championship through until this very day, there have been 13 versions of the Poker Player Championship. In total, 16 different countries have been represented with an in-the-money finish. Michael Mizrachi raised to 225,000 from the button, John Hennigan three-bet to 750,000 from the big blind and Mizrachi called. The flop came down and Hennigan continued for 700,000. Mizrachi raised to 2,000,000, Hennigan reraised all in for about 5,300,000 and Mizrachi called instantly with for a pair of nines with a flush draw. Hennigan held for an open-ended straight draw. As the Mizrachi section hollered calling for a heart, the turn fell to give Mizrachi a winning flush, rendering the river (and Hennigan's straight) moot. 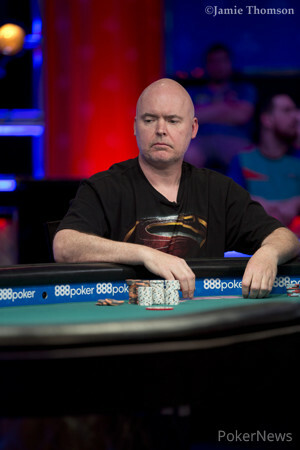 John Hennigan finished in second place for $765,937. John Hennigan limped in and Michael Mizrachi raised from the big blind. Hennigan called. On the first draw, Mizrachi took two while Hennigan took three. Mizrachi then bet. Hennigan raised. Mizrachi made it three bets and Hennigan called. Mizrachi took one card on the second draw while Hennigan stood pat. Mizrachi then checked and called a bet from Hennigan. On the final draw, Mizrachi stood pat and Hennigan decided to break and take one. Both players checked it down and Mizrachi showed up his and it was good for him to take down the pot as Hennigan mucked. John Hennigan raised on the button and Michael Mizrachi called. Mizrachi took three and Hennigan one. Mizrachi checked dark, Hennigan bet and Mizrachi called. They both drew one and Mizrachi check-raised. Hennigan released. Michael Mizrachi raised from the button and John Hennigan called from the big blind. The flop came down , Hennigan checked, Mizrachi bet and Hennigan check-raised. Mizrachi called, the turn fell, Hennigan bet and Mizrachi called. The river completed the board, Hennigan bet and Mizrachi called. Hennigan tabled for trip aces, Mizrachi mucked and Hennigan won the pot. On the button, Michael Mizrachi raised and John Hennigan called. The flop was and Hennigan checked then called a bet from Mizrachi. The turn was the and Hennigan checked again. Mizrachi put out a bet and Hennigan decided to check-raise. Mizrachi thought for a bit then called. On the river, Hennigan checked over to Mizrachi. Mizrachi bet and Hennigan quickly folded.